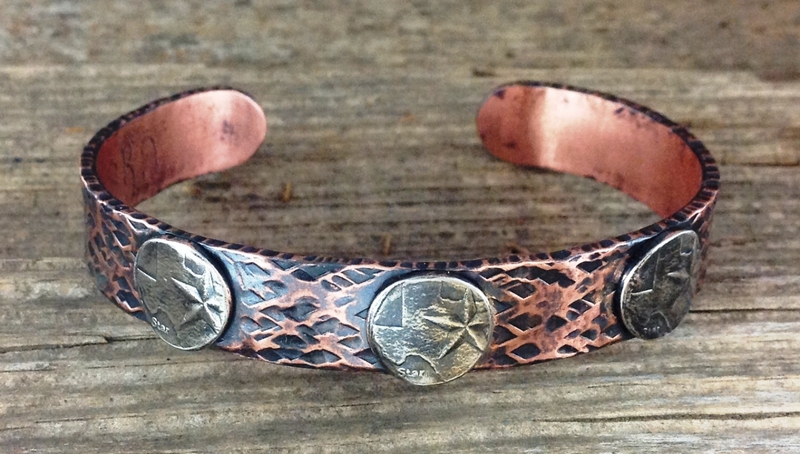 This is a thick copper bracelet that is 1/2 inch wide with a snakeskin texture. It has the centers of three Texas quarters soldered to it. It comes in two lengths, a 6 inch for smaller wrists and a 7 inch for larger wrists.